Hyundai Motor Company is a Korean automaker, headquartered in Seoul, South Korea. A Korean word which stands for “modernity”, Hyundai Motor is a division of the Hyundai Kia Automotive Group that manages Kia Motors as well. The company’s slogan reads as “Drive your way”, while the logo is a slanted, stylized “H”, symbolizing the company shaking hands with its customer. A relative newcomer to the automobile industry, Hyundai has, nonetheless, grown to become one of the world’s largest car makers in just over three decades. Though there had been numerous obstacles, the company overcame all the odds and earned global recognition for the advanced technology and excellent quality. The company has been continuously pressing ahead to achieve its goals of ranking amongst the world’s elite automakers. Read on further to know some interesting and amazing information on the history, origin and background of Hyundai. Hyundai Motor Company was founded by Chung Ju-Yung in 1947, as Hyundai Engineering and Constructions Company. The company was later established as Hyundai Motor Company in 1967. Cortina was the first model released by Hyundai, in collaboration with Ford Motor Company, in 1968. In 1975, Hyundai launched its first domestic car, Pony, which was powered by Japan’s Mitsubishi engines. The company started exporting cars to Ecuador, in the following year and then followed with exports to the Benelux countries (Belgium, Netherlands and Luxemburg). Pony was exported to Canada also where it surpassed expectations and became the top-selling car in the Canadian market. Hyundai entered the United States in 1986, with its subcompact Excel. The car was an immediate hit with more than 100,000 Excels being sold in just seven months. The model was adjudged as the “Best Product #10” by Fortune magazine, due to its supreme affordability. The year 1988 was a big turnover for Hyundai, as it started producing cars with its own technology, the first being midsize Sonata. However, Hyundai’s nascent image was tarnished due to the vehicles’ poor durability and reliability. Sales dropped drastically resulting in its disappearance from the American market, in the 1990s. The company, then, invested heavily in new product designs and improved the overall quality and reliability of the cars. 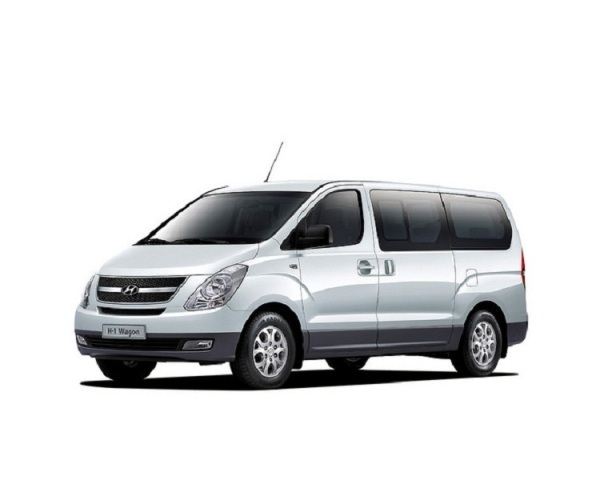 Hyundai Motors India Limited was established in 1996 in Irrungattukotai near Chennai with an assembly plant as well. In 1999, the ownership was transferred to Chung Ju-Yung’s son, Chung Mong Koo. Hyundai bought Kia Motors in 1998 and two years later partnered with Daimler Chrysler to create the Daimler-Hyundai Truck Corporation. However, Chrysler bowed out in 2004 due to financial difficulties. After Chung Ju-Yung’s death in 2001, Hyundai was divided into three separate companies: Hyundai Heavy Industries, Hyundai Motor Group and Hyundai Engineering and Construction. All the three companies have been competing successfully in the global marketplace till date. In a survey by J.D. Power and Associates in 2006, Hyundai was placed third, after Porsche and Lexus and ahead of arch-rival Toyota, in terms of overall quality. Since then, this motor company has been producing cars and sports utility vehicles, providing customers a high level of content and performance, at an affordable price. Today, Hyundai vehicles are sold in 193 countries with as many as 6,000 dealerships and showrooms worldwide. Currently, Hyundai is the largest automaker in the world in terms of profit, world’s fourth largest automaker by the number of units sold and the fastest growing automaker in the world. The company also operates the world’s largest integrated automobile manufacturing facility in Ulsan, capable of producing approximately 1.6 million units annually. What started off as a humble beginning, today, has resulted in a giant sized automobile company, with its manufacturing units in North America, China, Czech Republic, Pakistan, India and Turkey and research and development centers in Europe, Asia, North America and the Pacific Rim. Hyundai has made records with successful sales of sporty Tiburon Coupe (1996 through 2008), Tucson SUV (2004-present) and Entourage minivan (2007-present). The Genesis Coupe sports car debuted in 2009, while Santa Fe Crossover was released in 2001, which was lengthened to mid-size range in 2007. The company is soon going to launch the Sonata hybrid in 2010.